Last month I decided to make a serious upgrade to my system. At the time I was using a Scout 1.1 with an Ortofon 2m Black cartridge. I have always loved the look of the Classic line of VPI turntables and decided to make a big jump to the Classic 4 with the 12" 3D printed arm, periphery ring and a Soundsmith Paua MKII cartridge. I'm in LOVE! Here's the old set-up and the new. Although I own an Avenger, I could certainly live with that table indefinitely. Congratulations on your beautiful endgame. Yikes! I thought my Prime was high off the floor. Get that thing on a dedicated short stand and greatly improve your sound. It will be worth the effort. Build a stand if you need to. Just how high are the bottom of the TT feet off the floor? Can’t really tell by the photo. Mr_Putty wrote: Yikes! I thought my Prime was high off the floor. Get that thing on a dedicated short stand and greatly improve your sound. It will be worth the effort. Build a stand if you need to. Just how high are the bottom of the TT feet off the floor? Can’t really tell by the photo. I've been looking at shorter stands like the one linked below. Any recommendations would be greatly appreciated. Stillpoints has a different approach in their stands. They got a good review, but, the stand you linked too is beautiful! And it’s as close to my ideal approach as I’ve seen. My setup has been trial and test for nine months. I can’t make any recommendations, but others on the forum probably can. I think what you are considering would be a great choice. They mention granite. I found granite layers made a very musical improvement to my “rack”, which is not ideal by any means. It’s based on a reinforced oak desk on moving dollys. Once positioned, support blocks take some of the load for stability on a tile floor. Moving it is a bit scary as the top shelf is about five feet high, but this was cheap (minus my time) and lets me have some needed space if I want to change something. I use tiedown straps for lifting if I want to change isolation blocks. But I digress... I’ll look for a review of what’s in your link later. Thanks for posting. BTW, my Prime is about 4.5 feet high, still a comfortable height to work with. Ok, I got a new, shorter, stand and filled it with sand and lead shot. Got some new loudspeakers as well, Tannoy Turnberry GR's, sounds great! Chazz, looks like you won the lottery with all those upgrades! 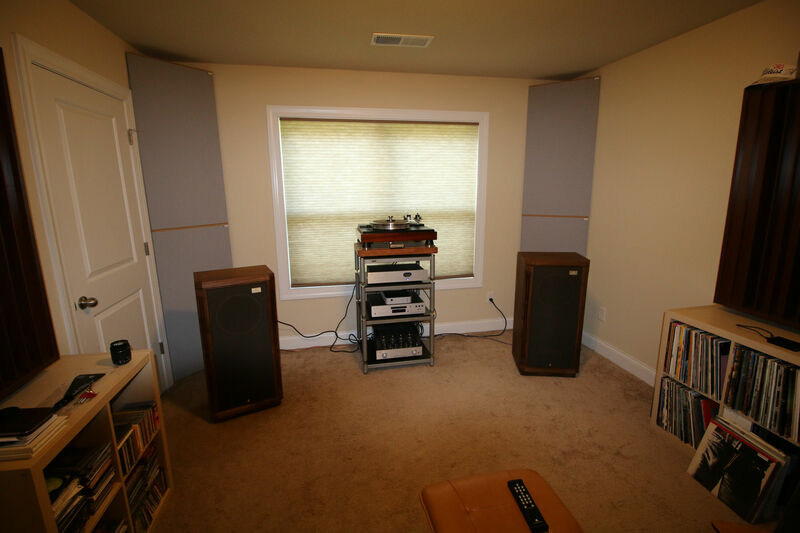 realize the dynamic range these speakers can produce and the goosebumps they can give. Glad you lowered your stand, more stable, less motion. 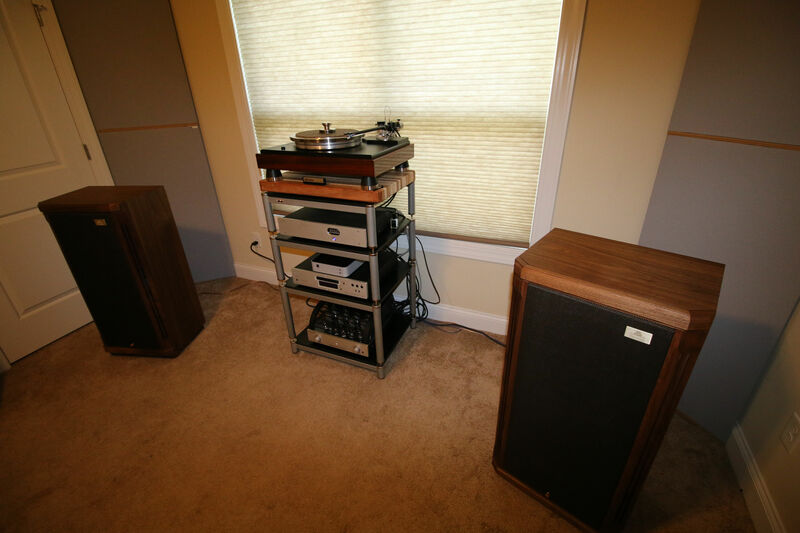 You should be very happy, you have a beautiful system and I know how it sounds!!! Chazz798 wrote: Ok, I got a new, shorter, stand and filled it with sand and lead shot. Got some new loudspeakers as well, Tannoy Turnberry GR's, sounds great! Nice. 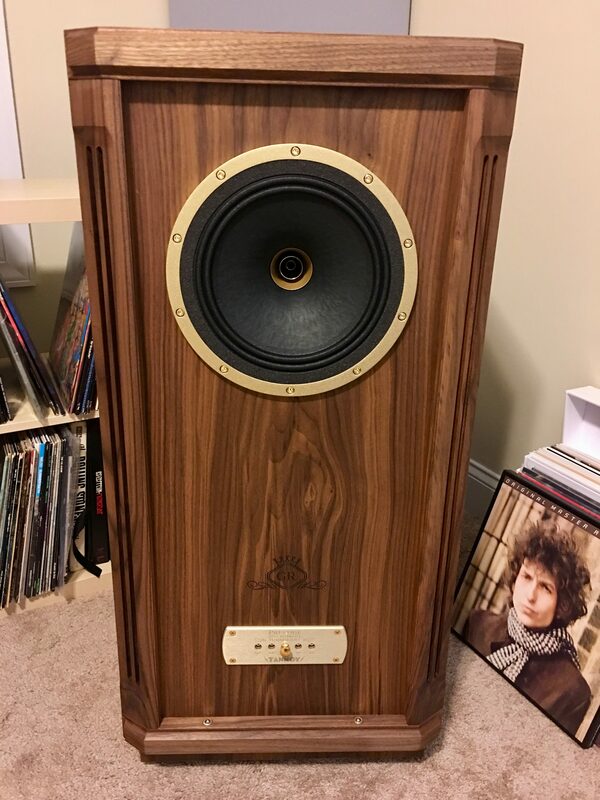 I recently bought the same Tannoy speakers and really like them. What cartridge are you using? I've used the Ortofon Quintet Bronze and mono with great results. Nice Classic 4 . My dream turntable for my vintage setup .